The death toll from Bangladesh's contentious Philippines-style war on drugs since May has hit 200, a local rights group said Tuesday, with some 25,000 others imprisoned. Bangladesh launched the crackdown to smash the surging trade in "yaba", a cheap methamphetamine and caffeine pill, which authorities say has spread to almost every village and town. Home Minister Asaduzzaman Khan has said the "war" will last until the narcotics trade is brought under control, saying those killed are all involved in at least 10 drugs crimes. But rights groups say that many of the victims are shot by police in cold blood and that the onslaught was in part being used as a cover to settle scores. In June the UN High Commissioner for Human Rights, Zeid Ra'ad Al Hussein, said he was "gravely concerned" that "such a large number of people" had died. Official declarations that none of the victims was innocent were "dangerous... and indicative of a total disregard for the rule of law," a UN statement said. Bangladesh's state-run National Human Rights Commission has also expressed alarm. 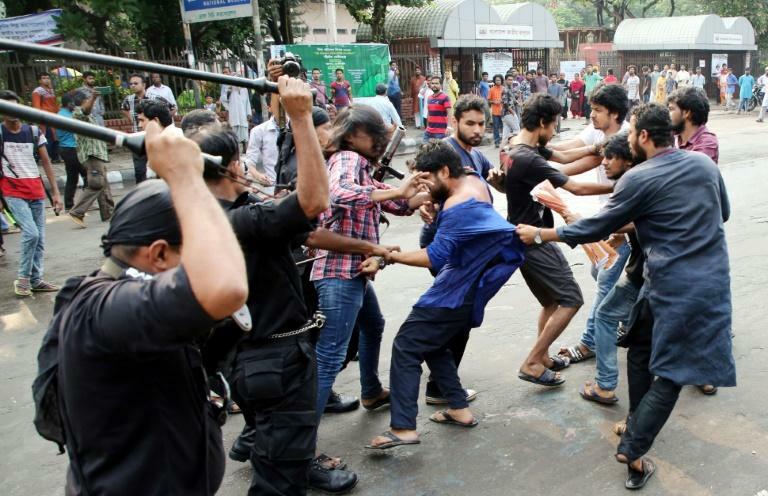 "It is unprecedented in Bangladesh. So many people have been killed in such a short period of time," Sheepa Hafiza, executive director of Ain o Salish Kendra rights group, told AFP. "This is very unfortunate. We condemn these extrajudicial killings and want fair investigations into each of these killings," she said. Around 25,000 alleged drug dealers have been arrested, home ministry spokesman Sharif Mahmud Apu told AFP. The prison population has shot up to 89,589 people, almost two and a half times higher than the system's capacity, he said. Last month the killing of a border town councillor in an anti-drug raid sparked outcry when his wife went public with tapes that she says prove her husband was murdered in a set-up. Ayesha Begum says phone conversations she recorded with Akramul Haque on the night he died contradict the official narrative that he was armed and shot at police who returned fire in self-defence. "They killed him in cold blood," Begum told AFP from Teknaf in southeast Bangladesh, where her husband was gunned down May 27. Bangladesh has struggled to contain the trade in "yaba", with hundreds of millions of pills entering the country from Myanmar. Authorities last year seized a record 40 million pills but said an estimated 250-300 million more entered the market. Philippines President Rodrigo Duterte's brutal war on drugs since coming to power in 2016 has left thousands of people dead and prompted allegations of crimes against humanity. Sri Lanka has also expressed interest in emulating Duterte, announcing plans to deploy the army and start hanging drug criminals, ending a near-half century moratorium on capital punishment.